EDITED TO ADD: THE WINNER OF THE FREE E-BOOK IS FLOSSIE BENTON ROGERS. LET ME KNOW WHICH YOU WANT, FLOSSIE. THANKS TO ALL FOR PLAYING. THE ANSWER IS FLORIDA. 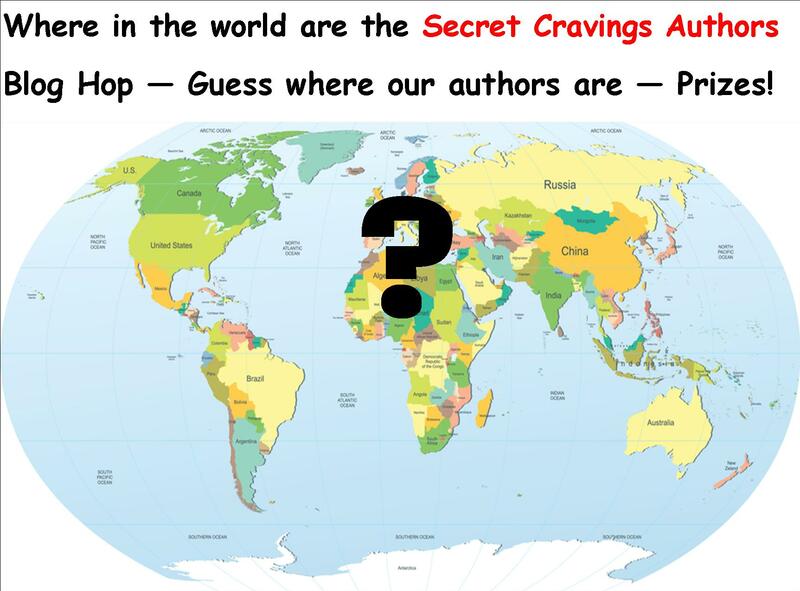 Secret Cravings Publishing and some of its authors are having a “Where in the world am I” blog event… think a combination of Where’s Waldo and Dora the Explorer. I will give a few clues as to which state I live in and all you have to do is comment where you think it is. All correct commentators’ names will be entered into a drawing for a copy of my most recent SCP release, Surf Break. or my other release The Season of the Witch. Winner’s choice. Those of you who already know where I live are eligible to win, too but only if you say hello only and not give away my location. 1. We had a way wetter summer than normal this year. 2. Think water and I don’t mean rain. 3. Lots of people in my state speak another language than English. 4. Rocket Man and Major Tom are our citizens’ two favorite songs. Yep I do know where you live so just liked the post. All I can say is hello, my friend! Sorry, I’ve googled all your clues I come up with nothing, sorry, I haven’t any idea. Happy hopping. Florida!!! (Yes, I cheated, and proud of it! ) Clues were hard! Thanks, Jean. I thought try were too easy. Lol. YAY! You got it. Thanks for popping in! Yep, Eva. It’s Fla. glad you popped in.